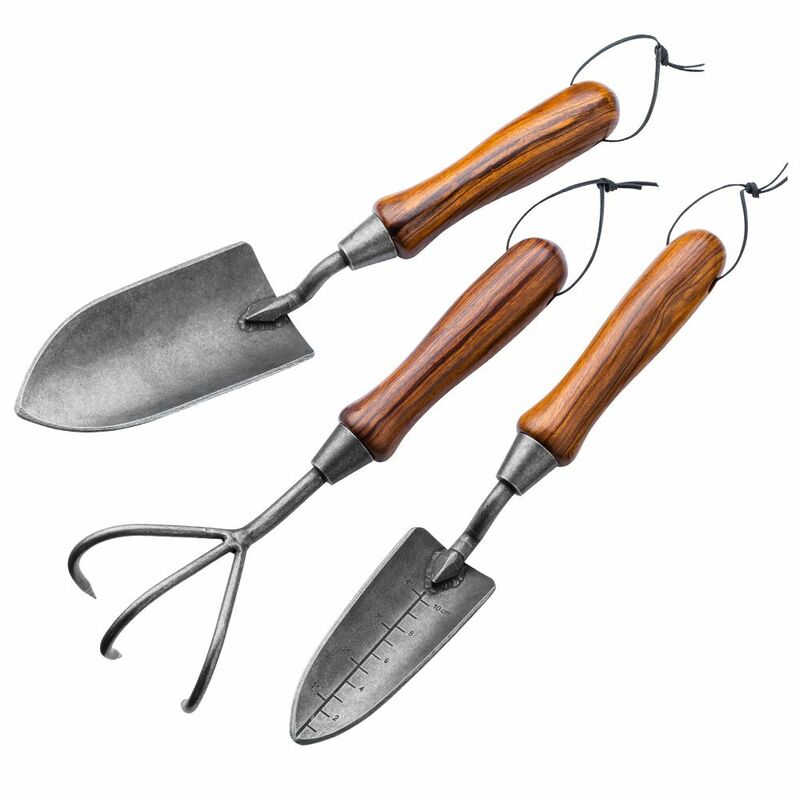 Save when you buy all three of our premium gardening tools together—turn a set of custom handles to suit the green thumb in your life. 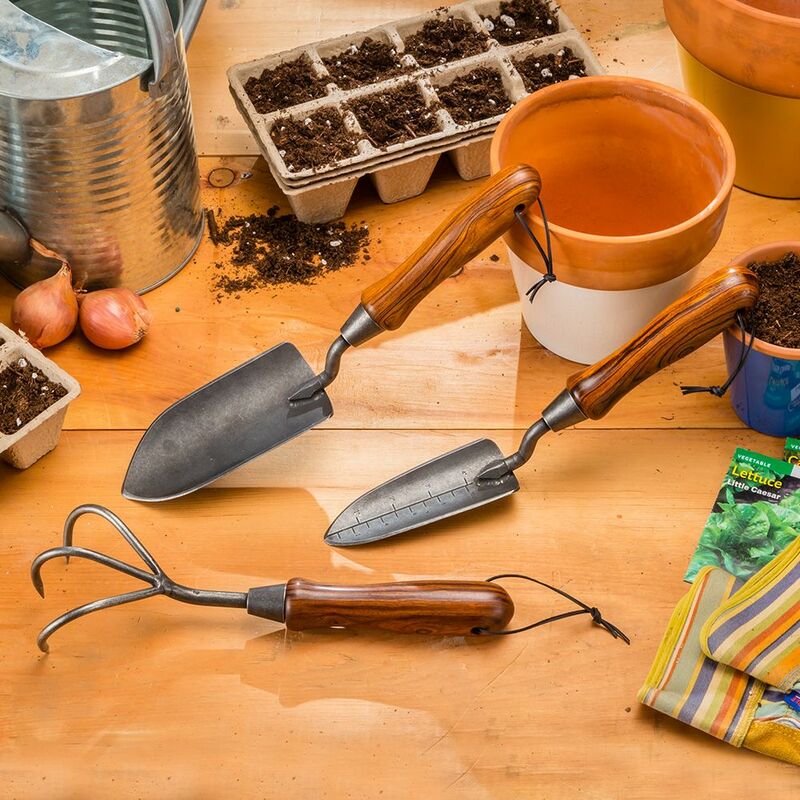 Dig into your gardening in comfort and style with our high-quality gardening hardware kits. Just turn a set of handles from the wood species of your choice for tools that fit your hands and please your eyes. 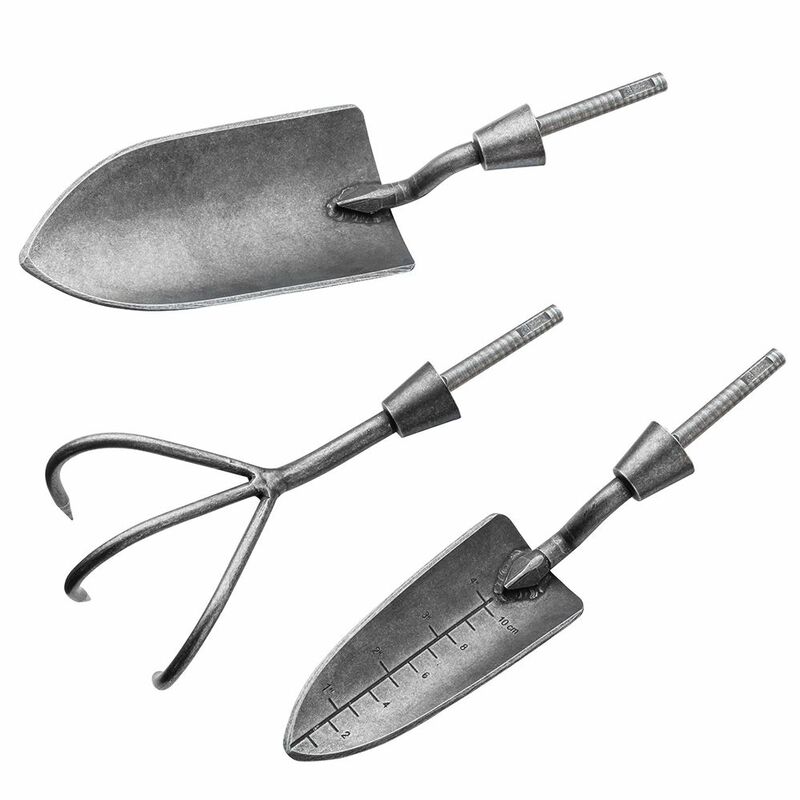 The edges of the trowels are beveled for easy digging, while sturdy welds and robust ferrules ensure a long life. All three gardening tools are made from durable hardened steel with a matte stone-washed black oxide finish. We recommend 6'' long handles, but you are free to make them longer for comfort and additional leverage. Is there a bushing or specific chuck for this kit?